The 17"H coaches seat consists of a nylon seat with a three leg collapsible steel frame. 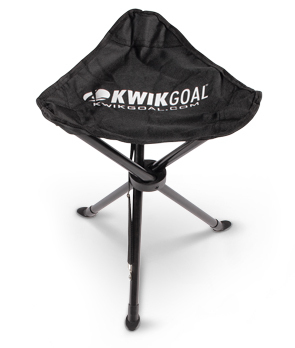 Also available are matching Kwik travel benches in 3 or 6 connected nylon seat variations that are perfect for tournaments and temporary team seating. 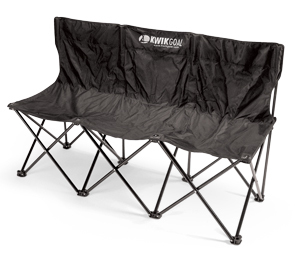 Kwik travel benches seats measure 17-1/2" each in width with 16" high seat backs. The coaches seat, 3-seat bench, and 6-seat seat bench all come with a black nylon carry bag. Black Nylon Carry Bag Included.